You buy a solar power system to save money on your power bill. Our experience and quality brands will ensure maximum return on your investment. Don’t get caught out with a solar system that may not last long enough to pay for itself. We understand that purchasing a solar system can be a big decision. We are renowned in the solar power industry for our no pressure, consultative and informative approach. 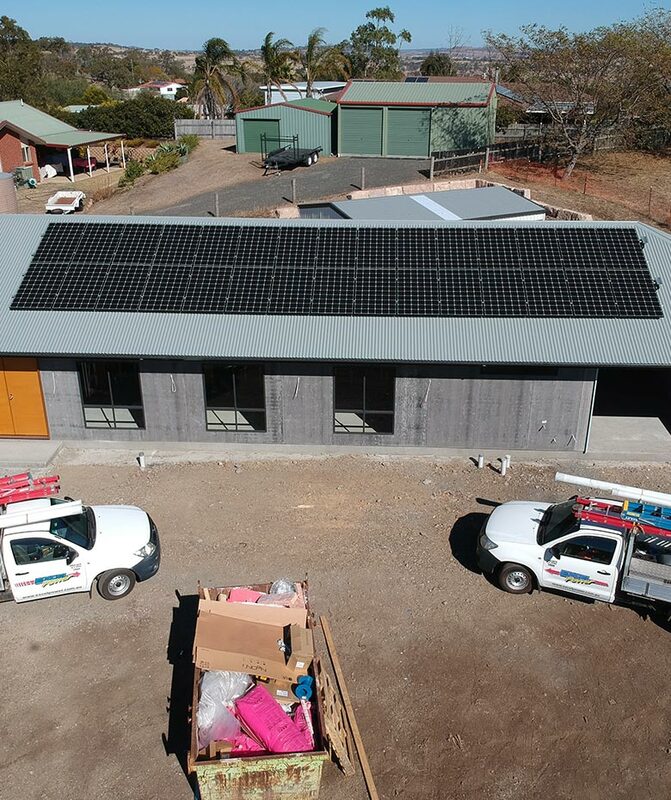 Our goal is to educate and help you understand exactly what's involved when installing a solar PV system or an off-grid solar system and what they can do for your electricity bills. We only recommend the lasted in solar power technology in order to safeguard and future proof your investment. We have a ‘quality first’ approach to the solar products we select for our clients and back this up with first class customised design, the highest standard of solar installation and dedicated after sales service. If you’re thinking about making the switch, talk to the trusted name in solar power first. by adding up the numbers yourself with our calculators. Find out how the electricity price rises are likely to impact you and your family. Find a suitable system based on your roof size and geographical location. Find out how much different sized solar systems can save on your electricity bill & your Return on Investment. That entirely depends on your energy usage. 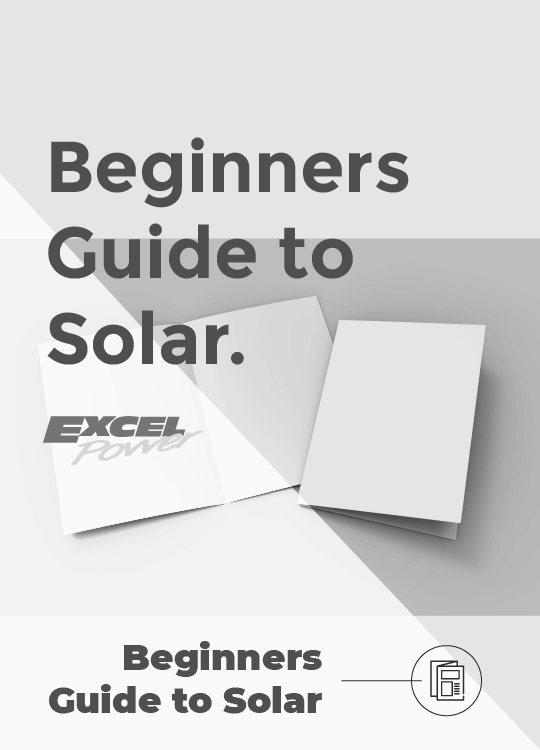 At Excel Power, we work with you to design the ideal system & teach you how to make the most of and educate you how to get the best results from your new solar power system. What's involved to design and specify my solar system? The structural soundness of the roof area to support the weight of panel and racking weight. Ensure the design meets building codes and electrical standards. What is the difference between entry-level solar panels versus the slightly more expensive quality ones? Arguably, the qualities of your solar panels as well as the inverter are the most crucial factor in selecting a solar system. Over their 25 year expected lifespan solar panels will be subjected to more than 100,000 hours of relentless sunshine, extremes of heat and cold, wind, rain, hail and more. It is an extraordinarily harsh climate for an electrical device. You have to be sure that the panel you buy will be able to deliver that performance during its lifetime. A good quality panel differs from a cheaper one in the sealing materials used such as backing sheets, the soldering and the efficiency of the solar cells. For example, whilst LG panels will cost slightly more they are designed to deliver year after year performance. In Australia, solar systems with inferior product are now failing after only relative short periods on the roof. Unfortunately in some cases the installation companies have closed shop and the consumer is left sorting the issues. We recommend buying only from local, reputable installers and preferably high quality branded components. What should I check in a quote before I buy a solar power system? Make sure the installer comes to your house and has a look, before you get the quote. Internet based solar companies that quote you for a system over the phone can spell trouble for the install quality, as they cannot truly appreciate the individual set up of your house. Are the tiles brittle? Where are any surrounding trees, which can cause overshadowing? What about antennas and chimney locations - which in the future through overshadowing can affect the system output significantly? How old is your switchboard and does it need upgrading to handle solar? All these questions only become clear through a proper home inspection. When an internet or a call centre based solar companies sell you a system they use the ‘one size fits all’ approach and give you a standard price. They then negotiate with a sub-contract installer to install your system for an agreed price. So the sub-contracted installer holds all the risk should your system require extra cabling or is a particular labour intensive installation. It is more likely in this situation for the installer to find the quickest way, not necessarily the best way to install the system. Being a sub-contractor to the company that sold you the system, the installer's relationship with your system is one of "get in and get out as quick as possible". Should you, in years to come require support for your solar system, the internet based solar company might not be around anymore, or should they still exist, are very likely to send a new sub-contractor to check out the issue. It is better, like with your car, to have the same reliable mechanic undertake the ongoing work - someone who is familiar with your particular circumstances/system. In general, the quotation should provide solar system specifications like quantity of panels, brand and model of panels, system size and likely output per annum in kW/h, capacity and output of the inverter or if microinverters are to be used the brand and warranty conditions. What are Small-scale Technology Certificates (STCs) and also what is the Renewable Energy Target? The Renewable Energy Target is a Federal Government scheme that creates and oversees a market and a value for the emissions savings from solar power systems (and other renewable energy technologies). The savings of CO2 emissions via solar electricity generation is being rewarded through tradeable certificates for small-scale solar systems called Small Scale Technology certificates or STC’s. The governing body for this scheme is the Clean Energy Regulator. When a solar system is installed, a calculation can be done to confirm how many STC’s will be created over the life of your solar system, which is effectively a measure of the renewable energy generation from your system. Solar system installation companies typically offer an up-front discount equal to the value they can get when they sell the STC’s. This means these STCs for your system are being handed over by you to the solar system installation company in lieu of some of the payment for the system. The solar system installation company then trades the certificates and gets cash in return. If the STCs are not traded (cashed in) 12 months after creation they become null and void. Most customers have the STCs treated like a rebate and have the value deducted from the sale price of their solar system. Most advertised prices for solar systems already have the rebate (STC value) deducted. How do I know if the installer is certified? In Australia in almost every situation an accredited solar installer is required to meet Standards, laws, regulatory requirements and to ensure you are eligible for any rebates or incentives. The Clean Energy Council is a solar and renewable energy association, which manages the accreditation scheme and collaborates with training institutions to deliver specialist training for installers. A number of different training streams exist including provisional accreditation; design only, installation only, off grid only and micro hydro and wind systems only. The Clean Energy Council maintains an updated list of installers who are certified to install your system. You can ask your supplier / installer for a copy of their certification. It is strongly recommended that you use only accredited personnel to design and install your solar system. You should ask to see their photo ID card and can check that they are accredited on the Clean Energy Council website. I’m building or buying a new home, should I install a solar system? When buying or building a home it is possibly the easiest time to afford solar electric systems. You could simply add the cost of the system to the construction/purchase costs and therefore pay it with your new mortgage. There are not many items in your home that will pay for itself after a few years, before starting to make money for you year after year. And then, when you decide to sell your home, you will reap the added desirability and resale value that solar provides. What will create a boom in solar power systems in years to come? It is predicted that the electric car will take over from fossil fuel burning cars over the next decade. Solar power systems on peoples home will contribute to charging the batteries for electric cars. Some of these home solar power systems will not be connected to the power grid, but will simply charge the replacement batteries or the car direct, while it is parked in the garage. It is conceivable, that when the electric car is the preferred mode of transport solar panels will be on many homes and factories. Does a solar system add value to my house? Installing a solar power system is a capital investment similar to installing a pool, spa, modern kitchen or bathroom. It will add desirability and additional value to your property. Homebuyers today are increasingly looking for homes that are energy efficient. 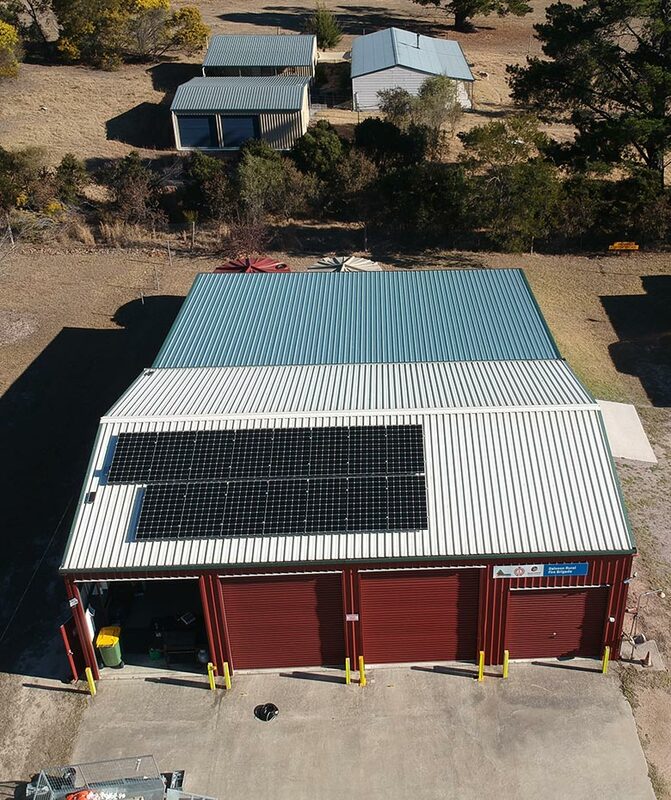 A Real Estate Institute of Australia survey found that over 85% of respondents rated a solar system (without battery storage) would add value to a house. To 78% of those surveyed solar would add $10,000+ to the value of a property. Correctly marketed, a solar system can add even more value. If you can use solar power to secure just a $250 saving to your quarterly electricity bill, this saving equates to being able to borrow an additional $16,500 (at 4.5%pa over 30 years). This gives you extra firepower with which to bid for a solar powered house compared to other houses of similar size in the same area without solar. The proviso is that your solar system is well branded with bonafide transferable warranty. LG offers a 12-year warranty with full parts/labour/shipment and a 25 year performance guarantee with minimal degradation over time, along with the security that comes from dealing with a Fortune 200 global company with AU$57 billion in revenue. This savings value will change depending on the size of solar system installed and the amount of solar power used to offset your power bill. LG provides a calculator to help you work out the savings from your system size. By installing a solar power system, you can increase the efficiency and appeal of your home, and you will also deliver a degree of certainty to yourself and any future owner in terms of energy costs. Can I save on electricity without investing into solar? Switching to energy efficient LED lights. Generally, lighting accounts for around 5% of household electricity consumption. For example in many cases LED light bulbs use up to 75% less energy than an equivalent incandescent bulb and up to 30% less than CFL bulbs. Switching off appliances that are on standby and turning off appliances that don’t need to be on. Reduce heating and cooling costs by insulating ceilings, walls and floors and stopping drafts from doors and windows. Cool your home efficiently, for example with high efficient air-conditioners, which use around 20% less electricity than models more than 5 years old. If you have an electric hot water system, reduce your hot water usage by installing a star rated showerhead or taking shorter showers. Keep the fridge clean and well ventilated and do not place the fridge and stove close to each other. Use curtains and shutters to keep the sun out during summer. Using cold water to wash clothes and the sun to dry them. When building, renovating, renting or buying a home, aim for high energy-efficiency and install energy-efficient appliances and lighting. Use timers to start and turn off heaters in winter - so you minimize the hours it is used. Following the energy saving tips above will assist you and your family to reduce your electricity bills. Add a solar power system to your home or business and you can further reduce your electricity bills. How do I avoid Solar Sharks? Investing in a solar system for your home or business can be confusing. There are a range of dealers and manufacturers a click away who can give you best price and best solutions to your solar requirements. The trouble is, how do you tell the good from the bad? Who do you trust for long-term service and quality? It can be a minefield. Solar sharks exist - Currently there are over 500 solar companies who are listed on the ASIC website since 2011 as being closed, in liquidation, administrators appointed or proposed de-registration. So how do you avoid these solar sharks? In most cases, it’s quite simple. You get what you pay for. The cheap option is not always the best option. Do your own research first. Understand the benefits of having a solar PV system installed including what will happen to your meter, your electricity tariff and your electricity bill if you have a PV system installed. Use our range of handy solar calculators, or contact an authorised solar panel installer who can assist you in these calculations. CEC accredited installers meet latest industry requirements. Ask for the installer’s name and accreditation/licence numbers. Check the warranty offer. Long warranties are great - only if the company you’re investing in will still be around in that time too! Avoiding unknown brands and keeping up with the latest news in the solar industry will help you identify the less financially stable solar suppliers. Find out how the solar rebates will work for you and how it will be applied - e.g. as an upfront deduction from the price of the solar power system? Ask who will complete the connection and approval process for your electricity retailer and electricity distributor. This process varies between states and territories. Ideally you want the solar installation company to take care of this and have all associated meter connection fees included in your final price. Should I use a LG solar system? What are the key benefits of a LG solar system? Why should I buy LG Solar Panels? When you are buying a solar module from LG you are dealing with a solar product built to last for decades. LG Electronics Australia has the capacity to provide a reliable backup and makes their locally awarded warranties count for a long time. There are industry estimates that over half of current solar manufacturers will not be in the solar space in five years time. Since 2013 over 110 solar panel manufacturers left the industry. Search the internet for “solar & financial trouble” to see the state of an industry facing overcapacity and financial problems. LG on the other hand has a diversified income stream and a long term commitment to the solar industry. LG‘s vision is for LED lighting, solar and battery storage for electric cars to be growth engines for LG. We have earmarked $5 billion as investment funds in this space over the next 3 years. Solar today is just like TV manufacturing 20 years ago, when there were 25 manufacturers. Today there are only a few significant TV manufacturers and LG is one of them. With more than $700 Million in annual sales in Australia, LG Electronics is a manufacturer strongly committed to the local market. A micro-inverter converts power at the solar panel from DC electricity to 240v AC electricity and is attached to each panel in a solar system. As opposed to a conventional string inverter which is connected to a series or “string” of solar panels and converts the power from Direct Current (DC) in to Alternate Current (AC) electricity, for the solar system as a whole. What happens with my solar system at night, in cloudy weather or during rain? Although solar panels still produce electricity in cloudy or hazy conditions, the clearer the sky, the better the energy production will be. On the other hand temperatures over 25 degrees celsius can reduce the output of a solar system. As a rule of thumb, on a cloudy day a solar system will produce around 25% to 45% of the energy it would produce under ideal conditions. The system will still produce some electricity during rain, but again the output of the solar system will be reduced. During the night the system automatically switches off. Does my home insurance cover my solar system? Most home and business insurance companies will cover the solar power electric system as part of your home or business insurance. We recommend that you call your insurance company when having the system installed to notify them and have it added to the insurance. In many cases this addition should not increase the premium. Should I get my solar power system serviced? Solar PV servicing is an easy, affordable and important way to ensure that your solar power system remains safe and effective. At Excel Power, we recommend having a service and maintenance done one to every two years. Our service technicians will perform a comprehensive system health check and conduct a detailed clean on your system. How do I maximise the financial return of my solar power system? 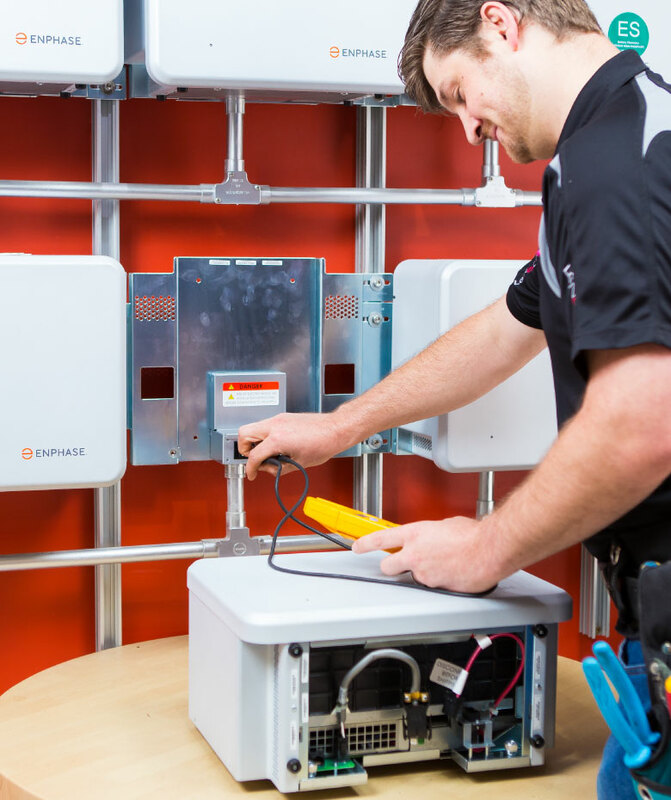 The first consideration in maximising the return of a solar system is to ensure that the system you buy uses quality components that will be reliable for the life of the system (25 years plus). The system should also be sized correctly based on your household`s electricity use patterns and volumes. If a system is too big, producing significantly more electricity than can actually be used on the property, this will lengthen the pay back period and reduce the return on investment. The next step is to use any power within the property during the day while the solar system is generating electricity. The more electricity consumption that can be "load shifted" into daylight hours the greater the financial benefit of having the solar will be. Remember, what ever can be done during the solar generation period i.e. daylight hours will help you maximise returns. Ironing clothes can be done during a sunny day or on the weekend. Should you have air-conditioning, another good idea is to pre-cool or pre-heat your house from 3pm onward, with the help of solar electricity. That way your air-conditioner is initially supported by solar power and when you come home the house is not too hot or too cold. Also the air-conditioning unit does not have to do all the hard work at peak electricity rates in the early evening. During the whole process of your installation, we're here to ensure that things runs smoothly. You’ll always find the help you need, even after your installation is complete. We explain solar technology and how you can maximize your roof space, then we assess your energy requirements to determine the perfect size and technology for you. 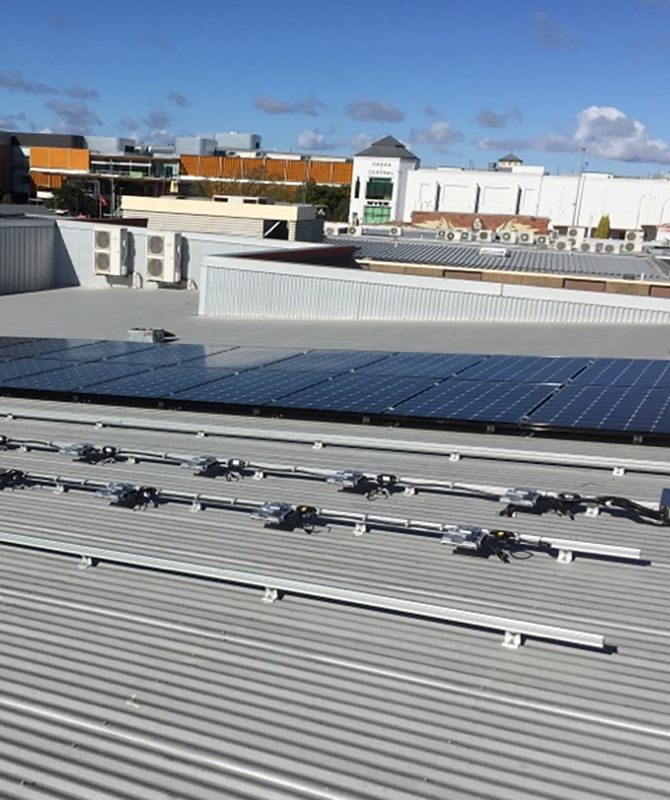 After we determine the right system for your energy requirements, we design it on your roof or ground mount for maximum performance and aesthetics throughout the entire year. Getting the right approval for your home is one of the most important steps when installing solar. We obtain all grid approvals & rebates to ensure a seamless transition to your energy independence. On installation day, our very own electricians will come and do your install. Once completed, we explain how the system works, how to monitor it and how to turn it on and off. We submit a Form-A to your network and they take over by scheduling a meter change for your solar export. The meter change is out of our control, however we can assist to ensure a speedy process. By using electricity generated from solar panels, we reduce the need to generate electricity from fossil fuels like coal and gas which create carbon dioxide (CO2). This can reduce the potential for global warming and can create a more sustainable cleaner energy mix, as long as the solar panels will last a long time. By owning your own solar system, you have the capacity to create your own electricity. This reduces your reliance on the electricity grid and electricity retailers etc and increases your control over your future electricity needs, expenses and lifestyle especially if you add batteries to your system in the future. There are increasing studies that show that installing a quality solar system on a home may increase property value. Home buyers are increasingly recognising that a home with quality solar panels installed will have lower electricity costs. High quality solar power systems are a reliable power source. The sun rises and sets every day, while the sun shines, solar panels will make electricity. While the weather and the seasons will vary, the amount of electricity that the panels make are predictable. You can also increase the financial benefits of your solar system by changing the times you operate your household appliances. For example, turning your washing machine on as you leave the home in the morning and avoiding washing your clothes at night allows your solar system to power your machine during the day. With the help of lithium-iron batteries, which are becoming more affordable, one can also harvest solar power during the day and use it at night. This short video shows you how solar, storage, and software come together in an all-in-one solar energy system. Installed throughout Toowoomba and the Darling Downs. There could even be one in your street. The only local LG Energy Specialists & Enphase Premium installers. When quality and experience counts.